It is well past midnight. There is a single loud knock at the door. What do you do? Are you going to answer the door? More importantly, can you sleep soundly after this? Seems like it is going to be yet another terrifying sleepless night for you. But it doesn’t have to be. You can be wiser and invest in a Smart Home Security System. After this, the only time you will feel scared while inside your home is when your favorite horror movie is on! 1 What is a Smart Home Security System? 2 Why do you need a Home Security System? 4 Which is the best Smart Security System and Why? 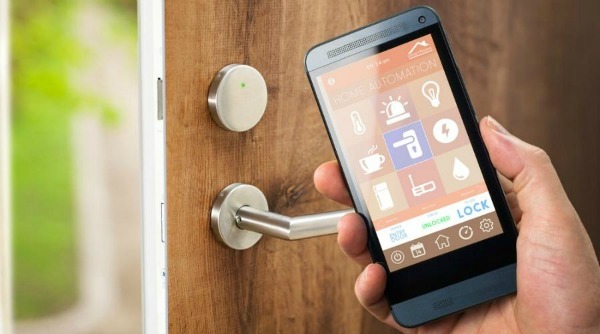 The Smart Home Security System is a perfect example of IoT (Internet of Things). The system has two main terminals – the Main/Controlling Hub and the Smart App. The inputs you feed into the Smart App are then forwarded to the main hub which transmits corresponding signals to the connected smart devices. This way the tasks you want to be carried out are ultimately performed by the specific devices. In the same manner, when the sensors and security cameras pick up any new data, they transmit the signals to the main hub. The hub then notifies you about the activity which you can view and examine on the Smart App. This ultimately enables you to make a smart and time-sensitive decision. This is the basic concept behind all the Smart Home Security Systems available in the market. Now, let’s dig a bit deeper to know why you need one of these in your home today! Going by this school of thought, every new invention has a purpose. And innovations such as the Smart Security System are universally useful unless you are living in a city with zero crime rate. Though that is the ultimate dream until that happens, let’s make do with the next best thing – Smart Home Security System. The insurance companies will offer you a generous discount when they see that you have wisely invested in a Smart Home Security System. The incidents of thefts and burglary in a home equipped with a Smart Home Security System are extremely low as compared to the homes without it. It protects you from odorless gas poisoning and sudden house fire incidents. You can monitor each and every corner of your home when you are at home, office or out on a weekend getaway. 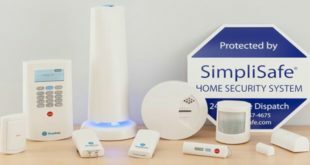 These are only a few of the many many benefits one can enjoy by updating their home security to smart automation level. Scroll down to check out the latest Smart Home Security Systems available in the market. We have painstakingly compiled a list of top five home security automation options most suitable for you. Read on to know more about them. The packaging is hassle-free to ease in the first time users and veterans alike. A total of 16 individual components are present within this system. The main components are Keypad, Base Station, Motion Sensors and the Entry Sensors. The monitoring stations are UL-certified to give you total peace of mind when you are away or at home. The cost for this round the clock premium safety service is only $14.99 per month. They claim that this system is so easy to install that an 8-year old has been able to do so well within an hour. You are offered round the clock professional level monitoring. Their ‘police dispatch’ function further strengthens this security cover. There are no annual subscription plans. The monthly payment feature makes it simpler for you to choose the services you actually use. You will get timely SMS and email alerts on your smartphone and laptop respectively. 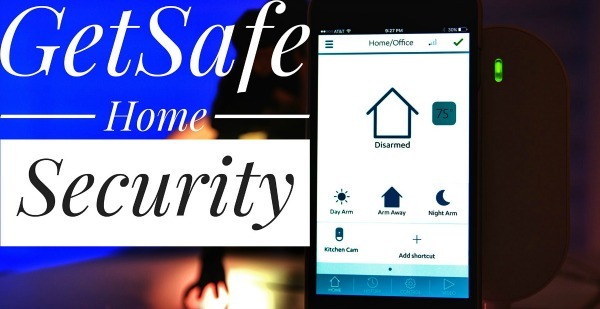 This helps you stay updated on the security situation of your home. It comes with a built-in cellular connection for a better service experience. The keypad consumes a lot of battery power and refuses to function efficiently on low battery. The system does not point you directly towards the sensor that malfunctioned. You have to check it one-by-one yourself which can be quite time-consuming. Sometimes the system will randomly lose the connection with alarm service. This happens even when you are facing zero network issues at your location. 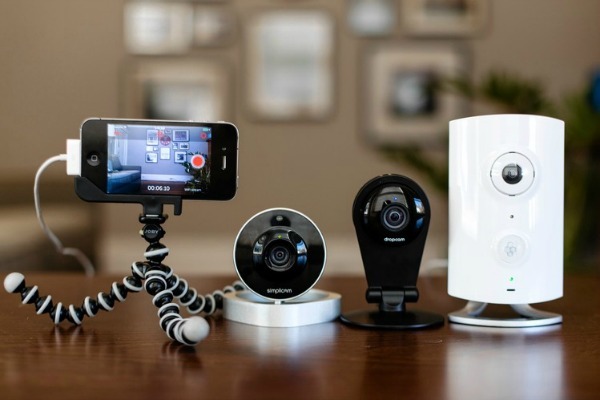 You can place these cameras and accompanying system anywhere in the house since there are no wires to give you installation woes. Monitor each and every corner of your home with its 130-degree angle lens for maximum coverage. The two-way audio feature enables you to talk back and forth with anyone inside the door or outside it. Batteries charge pretty quickly to offer you uninterrupted service every hour of the day. Night vision facility lets you see as clearly as you would during the day. 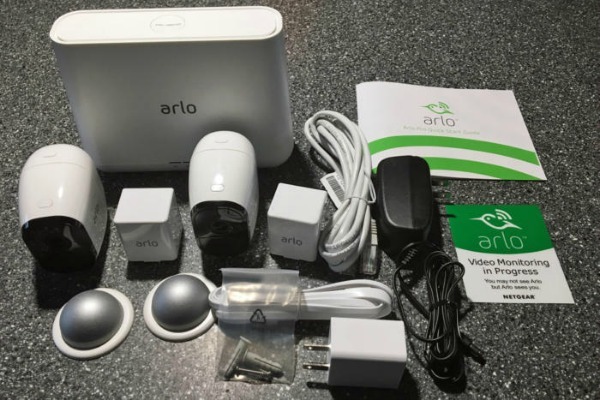 Untangle your life from the never-ending wire jumbles with the wireless Arlo Pro Security System. The rechargeable batteries let you install and forget about it without causing any serious trouble later on. The weatherproof nature of these smart HD cameras makes them your reliable companion even in harsh climatic conditions. Record for later or watch live all the proceedings around your home in ultra HD. You can relax knowing that there is a 100+ decibel siren which will get triggered by the slightest of threatening motion and sound. You can easily control the alarm too with your smartphone. You will experience a three-second lag between the app and the camera during live video streaming. The rechargeable battery is not durable and had to be replaced within 3 months in some cases. You will get 720p video quality when you zoom in and not 1080p which you will enjoy otherwise. The smart app allows you to view the status of all the sensors on a single well-organized page. Arm and disarm the alarm system wirelessly through your smartphone at any point in time. It can be easily extended to work with as many as 100 devices. All of the sensors have low-battery alerts to inform you when required. Enjoy live feed from all security cameras directly on your smartphone. You don’t have to pay any kind of monthly subscription fees to enjoy the essential services that have been mentioned. However, you can add Instant Push Notification to your service plan at a nominal monthly charge. A total of six people will instantly get alert notifications with this plan in case of any unfortunate incident. This system is highly compatible with a variety of home automation devices. Thus you can also use it as a home-wide automation system. 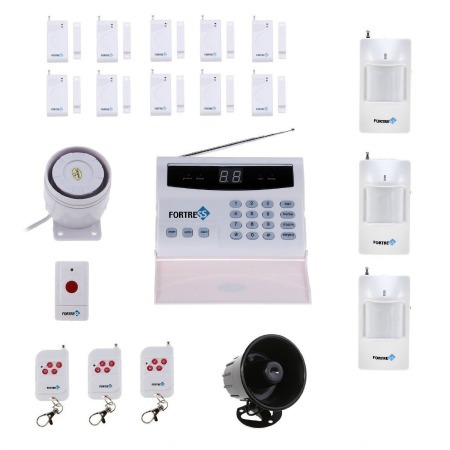 You get the facility of adding up to 10 security cameras to this wireless alarm system for unprecedented security levels. Amazon Alexa also offers voice control support for convenient usage of this smart gadget. The installation process is extremely trying if you are trying to do it without any professional help. The customer care service is extremely unsatisfactory. The product is facing durability issues in a huge number of cases. You get instant email, text, phone alerts and push notifications totally free of cost. There will be one 1 Motion sensor, 1 CubeOne Hub, 2 Window/Door sensors, 2 Sensor Stickers and 2 Remote tags. In case of an emergency, you can immediately activate the 110dB siren through the smartphone app by double tapping on it. The smart app lets you monitor, view and activate any alarms via your smartphone whenever you want. You can customize the app up to a certain extent such that it reflects your personal style. Extremely easy to install since it has been developed for the DIY purpose. The self-monitoring and self-controlling functions increase its utility for the busy users. You are free from the never-ending monthly subscription fees and contracts in this case. It claims to offer unlimited expandability to readily support your future home automation expansion plans. Works flawlessly with both Android and iPhone smartphones. The smartphone app takes a long time to respond which renders it useless. The customer care service is polite but extremely lazy with their responses. The siren is too loud and disturbs the entire neighborhood when you press it accidentally or for testing. 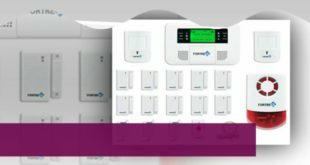 The main component of this alarm system are – 1 IQ Wireless Security System, 1 Dual Path Communicator, 2 Wireless Door Sensors. In addition to this, you get 1 Wireless Pet-Immune Motion Detector, 1 Wireless Keychain Remote, Free Yard Sign and Window Stickers. The 7-inch screen lets you view and monitor everything with extreme clarity. If someone tries to disarm it then the built-in camera will record it. You can control it online and via your iOS and Android gadgets. The system uses both Wi-Fi and cellular network for getting an uninterrupted signal exchange. This Plug and Protect system can be installed well within 30 minutes after unpacking it. The tech support is highly attentive with quick response time to all your queries and complaints. The interface is extremely user-friendly so that you and everyone else in your home can use it without facing any problems. The installation guide is easy to follow and genuinely helpful. Some users are complaining about the repetitive false alarm issue. Your inbox will get bombarded with offers throughout the day. The built of the equipment is not sturdy enough to offer a long-term reliable service. This is all you need to know about the latest and the best that the market has to offer in terms of Smart Home Security Systems. Let’s take a look at which one of these five is the best according to user reviews. Which is the best Smart Security System and Why? 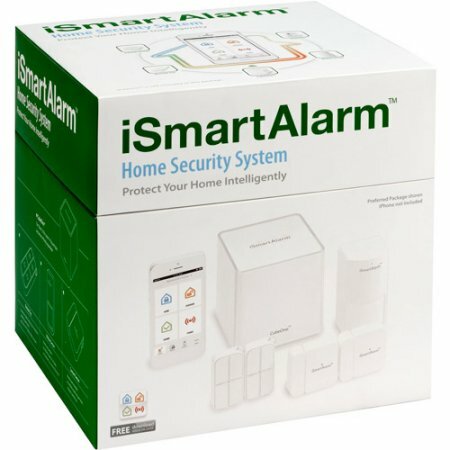 The competition here is pretty close but still, the one contender that checks off all the boxes on our list is the iSmartAlarm iSA3 Preferred Package Home Security System. It is made for the DIY generation of today that likes to take on the challenges of life head-on. Thankfully, installing this system is a piece of cake. It is suitable for large houses where the home security task gets especially tricky. Most of the present day Smart Home Security Systems are designed keeping in mind the target user. Hence, you will find them quite easy to install and use. Take a look at the installation process for the same below. 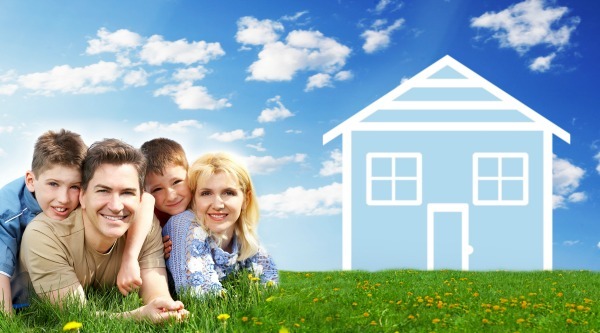 Most of the people take the Security System installation process to be a mammoth task. But in reality, it is simpler than it looks. Following are just a few steps you need to follow and you will be done with the Installation of a Smart Home Security System in no time. It is very important that you give special attention to the unpacking process. It is this step that people handle most carelessly and then regret later as they have unknowingly lost the key components. So just find a well-lit and quiet place to commence this unpacking ceremony! You need to find a location for the control panel which is close to the front door and the power source. If you need to mount the panel then you can either screw it in at sufficient height from the floor. Or you can take the help of a double-sided tape. 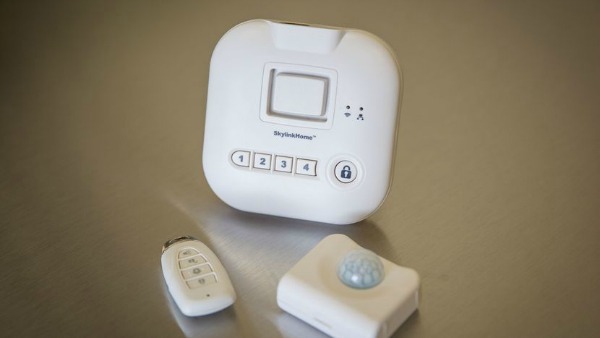 You will be provided with a bunch of sensors within your home security kit. These will usually be motion and window/door sensors. You need to find an appropriate location for all of them so that they don’t wear and tear during daily household chores or unknowingly by pets. Keep them out of the reach of kids too to prevent choking and other types of hazards. After you are done with the entire installation process, make sure to run a final check. This will reveal that whether the installed system is in a functional state or not. You can also report any manufacturing defects encountered during this time and get an agreeable refund or replacement, as the case may be. This is all you need to take care of while installing the security system by yourself. Isn’t is simple? So stop post phoning the installation to next weekend and be done with it already. We are always told that it is better to do the tasks on our own rather than hiring a help. Maybe that led to this DIY culture after all. The whole exercise of hiring an outside help to install the security system within your home is quite risky. Of course, not every person you come across is going to be a criminal. But just think about it. You are revealing every big and small detail about your home and the new security system to this unknown person. 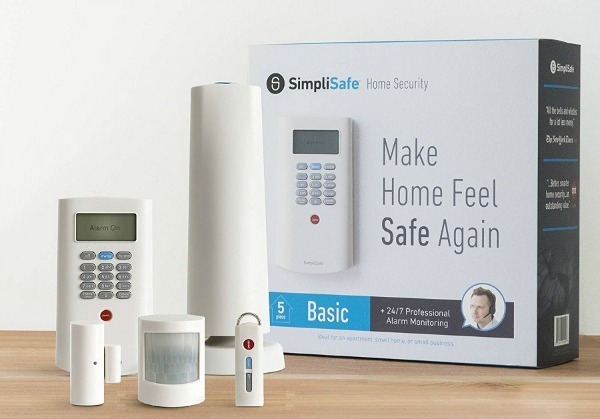 This will place you and the security of your home in a really vulnerable state. When people know that you rely on their help totally then they tend to charge extra. But if you follow the DIY route then you can escape this installation overhead. First, you spent a good amount on the security system and then some more on installation. Then, there is the maintenance and repair charge too. Most of the Smart Home Security System is based on the plug-and-play model. So, you are going to face zero difficulties in putting it together. I call it a game because it seems like one, almost too similar to the hide-and-seek game. When you get time then the installation executive is busy and when he/she is free then you somehow get extremely busy. I would have suggested continuing if it was any fun but unsurprisingly it is not. So quit playing games with your home security and get started on the DIY installation process today. The DIY installation method is beneficial in the long run. This way, you will learn a lot about the mechanical basics of your home which is quite necessary. And the feeling you get when you accomplish something you thought to be next to impossible is out of this world! Just in case the above section got you all pumped up and you are looking for something to tinker with, we have got you covered! 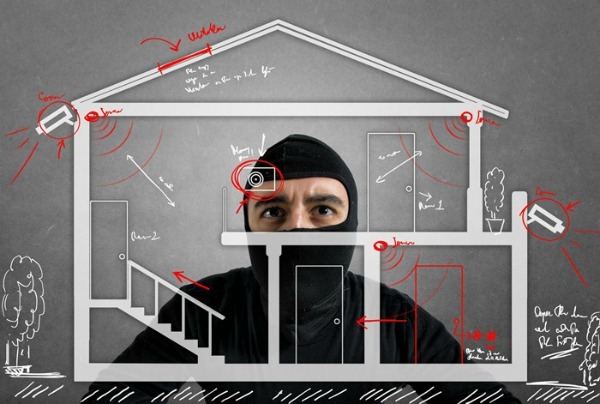 Following are the top two DIY Smart Home Security Systems to make your home safer than ever. 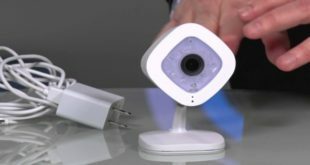 The main items within the package will be 1 Smart Hub, Siren, 1 Entry Sensor, 1 Motion Detector and AT&T Cellular Sim Card. 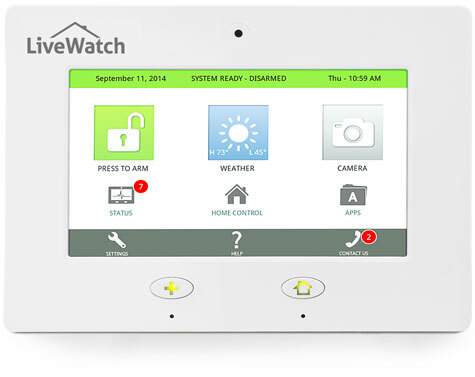 You will be enjoying UL-Certified monitoring throughout the day with this capable security system. The siren is 100% wireless and rings at 85 dB to provide that impenetrable security shield for you and your family. The entry sensors will take care of the entry points such as windows and doors. You can install them with 3M double-sided tape without ruining any aspect of their functionality. The Motion Detector uses the passive infrared technology. It also differentiates wisely between your pet and probable intruders if your pet weighs below 40 lbs. Has been launched in the market as a Home security system most suitable for the DIY purpose. The accompanying GetSafe App works with both Android and iOS platforms. You are not roped in any kind of money-siphoning monthly subscription plan. 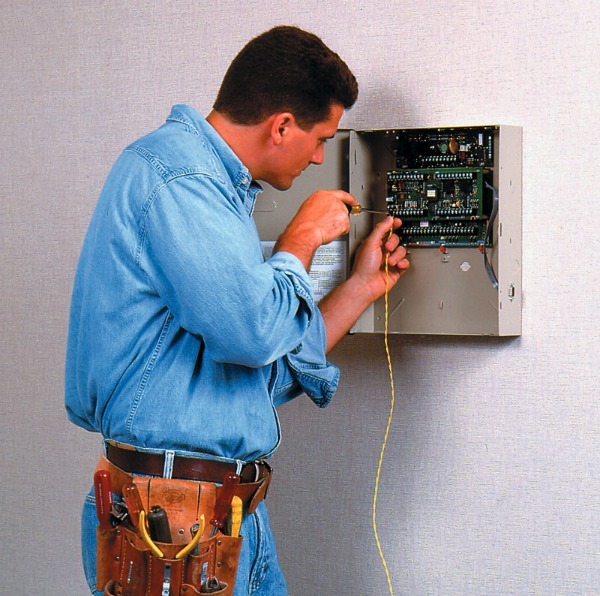 You can install the entire system without hammering a single nail on your pristine home walls. The 3M double-sided tape will do the job just fine when you are looking for an alternative to the whole bolt-and-nail circus. The constant use of wireless security camera will consume a lot of battery power. Thus, you would have to replace them on a regular basis. The motion sensor is not able to classify between intruders and bulkier pets. The GetSafe App keeps on asking for running the update every other day which can be quite annoying. The power configuration required for the smooth functioning of this security automation system is – AC 110V- 220V DC 9V. You can deactivate the alarm whenever you like via any of the three key fobs that come along with this package. This all round system comes loaded with a variety of components to offer you total peace of mind. The basic framework components supplied with this kit are – Main Control Panel, 10 Window/Door Contacts, and 3 passive motion detectors. Then we have alarm setting and control components including 1 panic button, 1 loud button, 1 panic alarm, 1 extra outdoor siren, 3 keyfobs and 4 alarm warning stickers. The 140dB will alert the neighbors and scare off potential intruders. It comes equipped with an easily programmable network of the main unit and the sensors. Alerts will be sent instantly to as many as 6 designated members with the ‘auto dial’ feature in case of a break-in. Any forceful security breach will be detected with the help of Door/Window contacts. It is suitable for both domestic and corporate security purpose. The instruction manual leaves out the important details rendering it useless for the people who actually need it. Some of the sensors are breaking down with as early as one month of usage. It is pretty easy for the intruders to disarm the system with the visible on/off switch on the control panel which makes the whole system redundant. The best part about going with either of these models is that they will not bother you with the installation woes. And you get all this comfort without compromising even a bit in the security department. Home Security is a thing of prime concern for everyone on this planet. Some people try to roll the dice and let the fate deal with it. While other sensible human beings pick the Smart Home Security System for a more secure and certain tomorrow. It is your turn to pick a side now. We have been planning to write about this topic for quite some time now. Hope our efforts have turned out to be useful for you. Let us know what else you would like us to write about from the world of Home Automation. Till then, keep on reading and evolving!